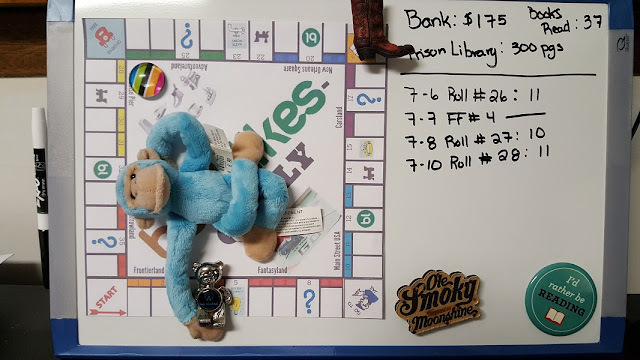 Ani's Book Abyss: Booklikes-opoly | Roll #28! I'm actually quite amazed at how quickly I've been going through my books for the past few rolls, because on top of the past few rolls, I also had two freebie books. As of this roll, I'm still reading my Free Friday selection from 7/7, Ravished by Amanda Quick. But I'll probably have it completed within the next twenty-four hours, if it's any indication of how quickly I tend to get through any JAK books. Meanwhile, I finished reading Fired Up by Jayne Ann Krentz, which was the book I read for Roll #27 (taken on 7/8), after landing on Paradise Pier 30. The book is tagged 'suspense' on GR, and the paperback version I read has 403 pages, giving me a $10.00 increase to the Bank. Finishing this book gives my Personal Series challenge some forward progress, which is good. The book itself is, like any other JAK book, exciting and constantly forward moving. In short, I really, really loved it! A review will be posted soon. 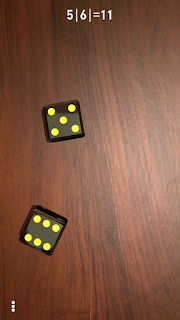 I rolled an 11 and moved from Paradise Pier 30, back to the beginning of the board, and landed on Frontierland 4. I've been here before, though it was prior to Game Shake Up, so no multiplier. Rock-a-bye Teddy on Magnetic Monkey's arm. And we're still just chillin' all zen-like. The last time I landed on this game space, I had a heck of a time trying to figure out what book to read, up until I gave up looking at all the complicated titles, or trying to figure out which book might have traveling by boat. 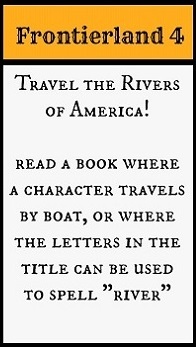 I simply went and looked up book titles using the word 'river' and came up with three particular books. River's End by Nora Roberts fits the game space in a rather self-explanatory way. The book is presented as 447 pages (Kindle version), which will be worth $10.00. I've read and heard good things about this one, so I'm looking forward to reading it. 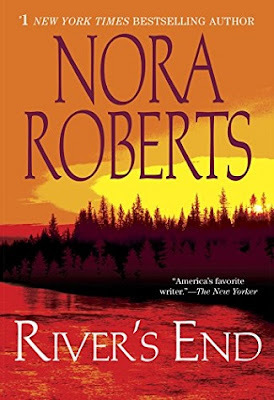 It also helps that I've been eager to read another Nora Roberts work after the conflicting experience I had with Carnal Innocence. Meanwhile, I'm slightly behind on my reviews for BLopoly books, so I'm glad I've been including small rambles of how I liked each book in all of my updates. But never fear! The reviews are in the process of being written and combed over, so I will be doing some review posting this week!